Federal law requires filing an income tax return if your annual income exceeds a certain level depending mostly on filing status. For the 2012 tax year, single people have to file returns if their annual income is greater than $9,750, and married people filing joint returns must file if their combined income is over $19,500. The deadline to file a tax return depends on the type of return you are filing, but standard tax returns are generally due on April 15. For those required to file tax returns, the general tax deadline for a given tax year is April 15 of the following year. If the normal tax due date occurs on a weekend or holiday, the deadline is delayed until the next business day. The due date for 2011 tax returns was April 17, 2012, for example, because the normal due date fell on a Sunday and Monday was Emancipation Day. Workers living outside the United States and members of the military serving outside the U.S. are granted an automatic two-month extension, so their deadline is June 15. It is possible to file a return after the normal deadline without being penalized by requesting an extension of time to file. To file for an extension, you need to send Form 4868 to the Internal Revenue Service. An extension delays the tax filing deadline six months, so the deadline shifts from April 15 to October 15. An extension of time to file does not change the fact that you have to pay all taxes due by April 15. Filing a tax return is a complicated process, which can lead to mistakes like forgetting to claim a tax break or reporting some of your income. If you have an error on your tax return, you can correct it by filing an amended return using Form 1040X. The general due date for filing an amended return is three years after the deadline for the original return or two years after the date you paid the tax associated with the original return, whichever is later. Wait to file a 1040X until you have received your original refund. When Is a Tax Return Considered Filed With the IRS? How Long Will It Take to Receive My Tax Refund on an Amended Return if I E-Filed It? Missing the tax filing due date can lead to more than just a slap on the wrist. According to the IRS, you face a late payment penalty of 5 percent of the amount of tax you owe each month your return is late, for up to five months. If your return is more than 60 days late, the minimum penalty is either $135 or 100 percent of the tax you owe, whichever is less. If you don't owe any additional taxes, you aren't penalized for filing late, but you have to file a return to get your tax refund. 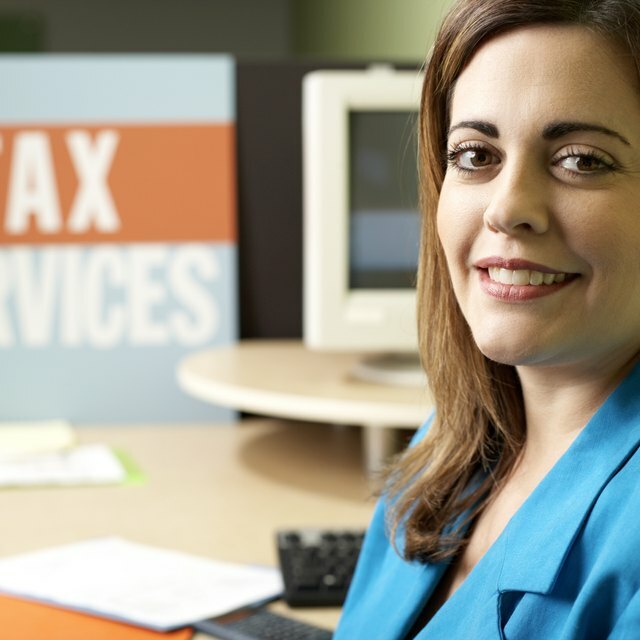 If your taxes aren't withheld by an employer -- if you are self-employed, for example -- you might need to make quarterly payments of estimated taxes. Those deadlines are April 15, June 15, Sept. 15 and Jan. 15.